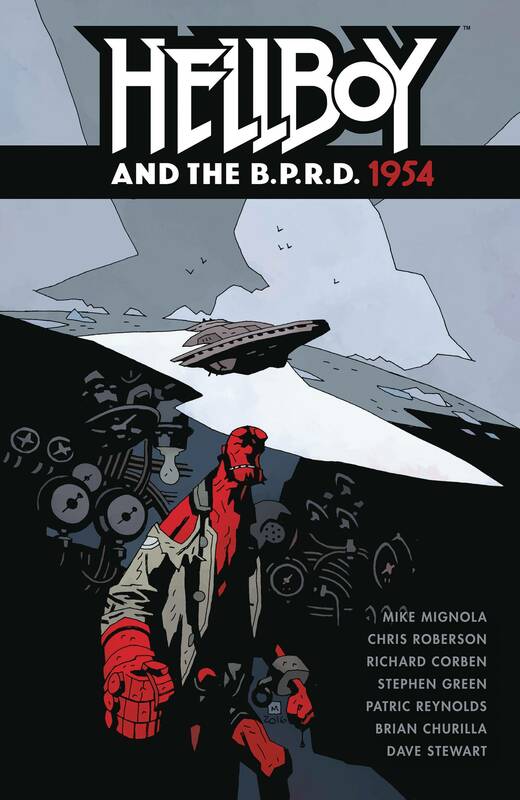 No longer a rookie, Hellboy joins other Bureau agents in a series of far-flung mysteries that take them searching for yetis terrorizing an Arctic research team, into the American suburbs where a family is haunted by a phantom monkey, and to a Hong Kong showdown with demons drawn to a Chinese artifact. iZombie co-creator Chris Roberson teams with Mike Mignola and a group of artists to uncover the horror and intrigue of a growing occult Cold War. Mignola also reunites with legendary artist Richard Corben for the short story 'The Mirror.' Collects Hellboy and the B.P.R.D. : 1954 #1-#5 and 'Hellboy: The Mirror' from Free Comic Book Day 2016.